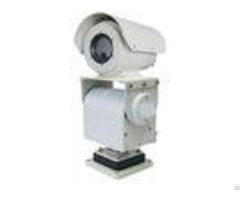 6KM Long Range Surveillance IR PTZ Thermal Imaging Camera Continuous Zoom Feature: # # based on the latest uncooled IR sensitive technology and continuously IR optical zoom. 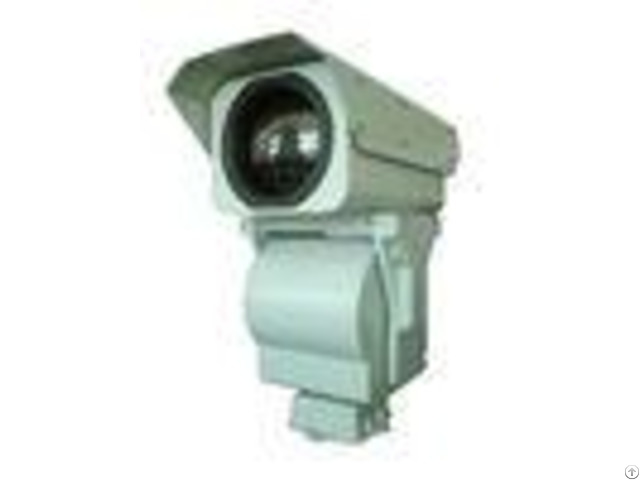 # User could get a best imaging details with 640*512 resolution uncooled FPA sensor, advanced digital circuit and image processing algorithm. 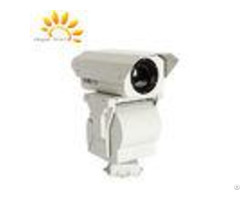 # Special design of 5X optical zooming lens have detection distance 16km, suit for both seeking and watching. # One integral aluminum alloy housing make sure the camera works well outdoor. 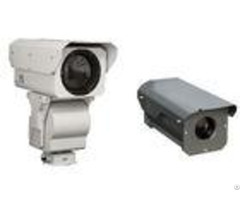 Technical specification - - - - Model | TC4307-S | TC4510-S | TC4412-S | TC4515-S | TC4519-S | Detection | Vehicle:6500m | Vehicle:8600m | Vehicle:10000m | Vehicle: 13000m | Vehicle: 16400m | | Human:2500m | Human:3400m | Human:4000m | Human: 4800m | Human: 5800m | Identification | Vehicle:1800m | Vehicle:2400m | Vehicle:2800m | Vehicle:3400m | Vehicle:4200m | | Human:700m | Human:900m | Human:10000m | Human:1300m | Human: 1600m | Sensor | 5th generation UFPA sensor | Resolution | 336*256 pixel (640*512 optional) | Spectral | 7.514m | NETD | 50mK(@25 F1.0) | Focal length | 2575mm | 21105mm | 30120mm | 31155mm | 38190mm | FOV(H) | 134.3 | 183.4 | 112.8 | 11.22.2 | 9.51.9 | IFOV | 0.220.68mrad | 0.170.85mrad | 0.140.57mrad | 0.110.55mrad | 0.090.45mrad | Lens control | Motorized zoom and focus(optional auto focus) | Image processing | 1. Stable operational temperature without TEC, starting time less than 4 seconds | 2. SDE digital image processing | 3. 10 pseudo color and B/W, B/W inverse | 4. AGC | 5. 2X digital amplification | Housing | 1. Material:High strength aluminum alloy shell, waterproof seal, To avoid the growth of mold and moisture generated | 2. Structure:Integrated single-window design | 3. Surface coating:PTA three-resistance coating, Seawater corrosion resistance | 4. Interface:Aviation waterproof plug | PT(optional) | 1. Duty: 20kg | 2. Rotation: Pan: 0355, Tilt: -60+10 | 3. Rotation speed: Pan: 9/S, Tilt: 4/S, | 4. Preset 32(Optional variable speed PT) | Interface | # RS-485(PELCO D protocol, baud rate 2400bps | # Remote OSD setting | 3. PAL/NTSC video output | 4. AC24V ( DC12V optional) | 5. Waterproof connector | Environment | # Operating temperature:-25+55(-40 optional) | # Storage temperature:-35+75 | # Humidity:<90% | # Ingress protection:IP66 | - - - - * The detection distance is related to the object and environment etc. Please contact with us for further information.